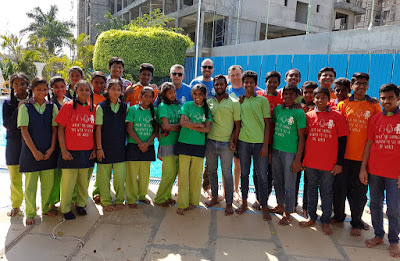 Our Inventors4Change team has finished their stay in India. 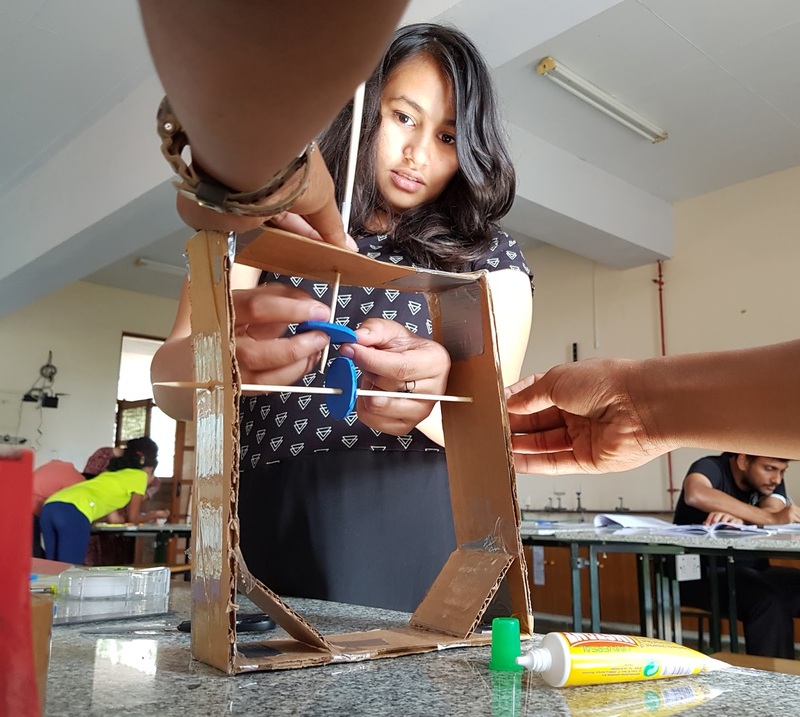 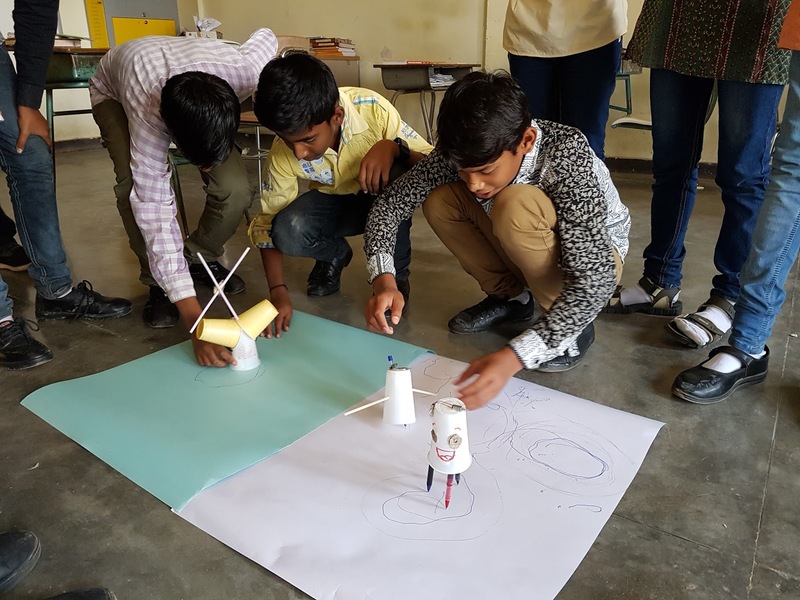 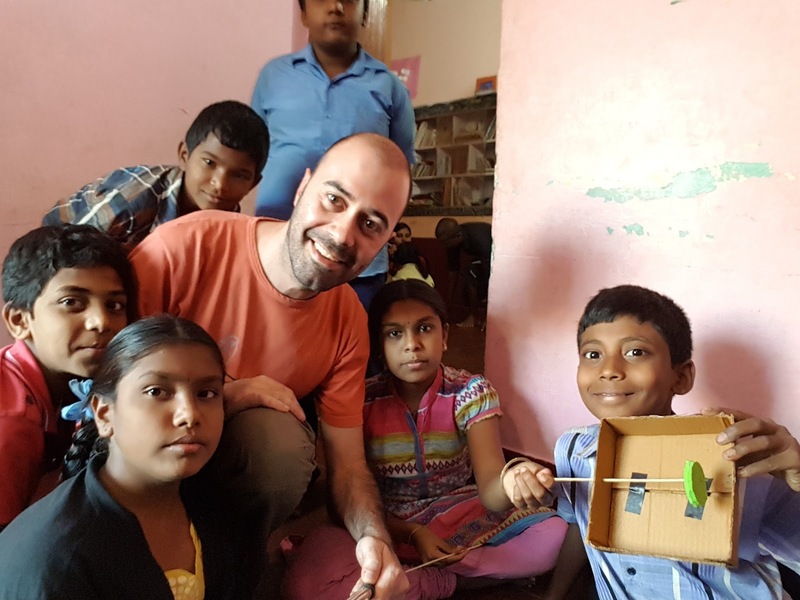 The objective was to conduct workshops with children and teachers of the schools participating in the project, in this way they know the tools and methodologies that we will use during the collaborative work India-Spain. For five weeks we have performed workshops and trainings in different schools, and we have also visited other learning centers and projects that stand out for their pedagogical approach or for their educational innovations. For us, every trip is also an opportunity to learn. 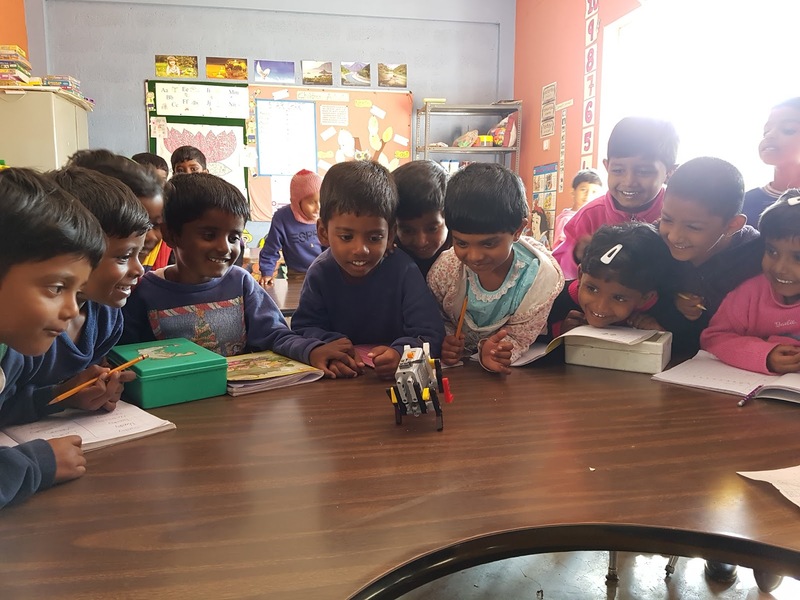 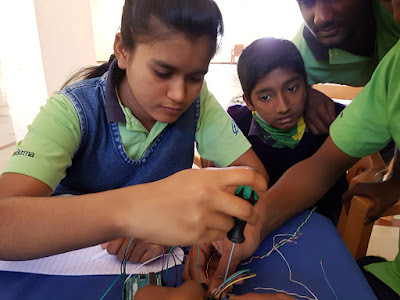 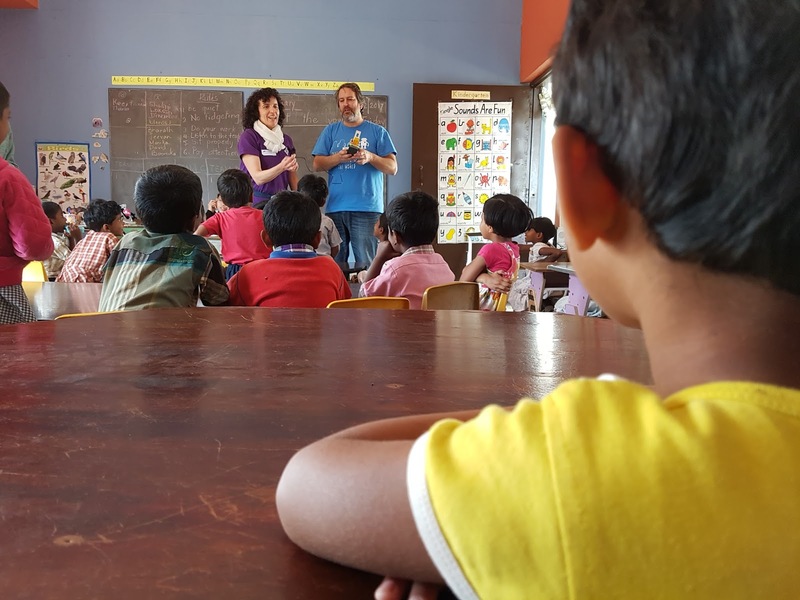 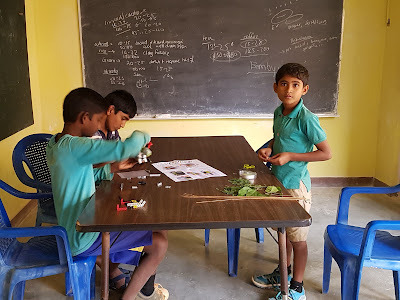 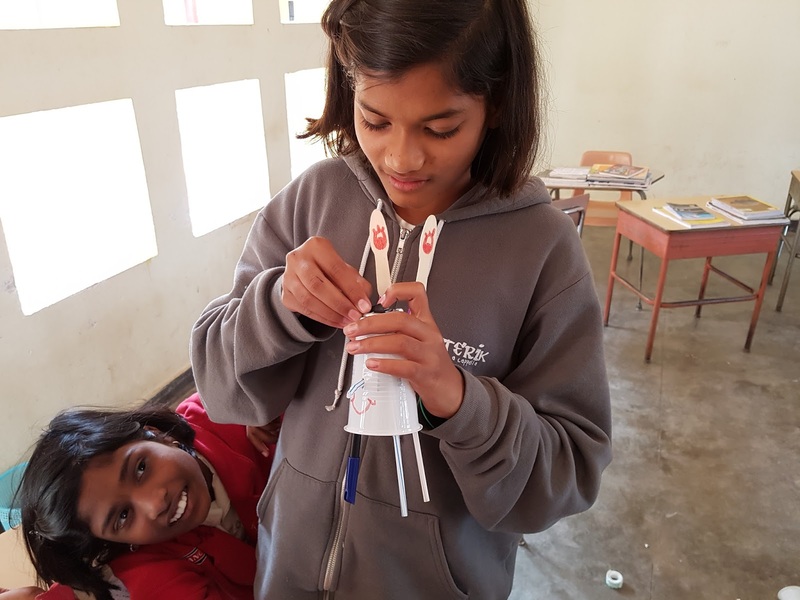 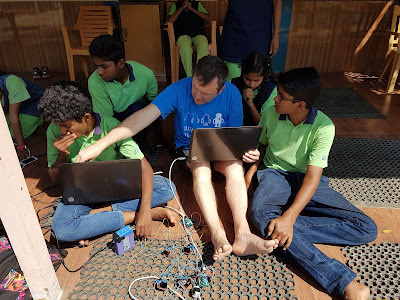 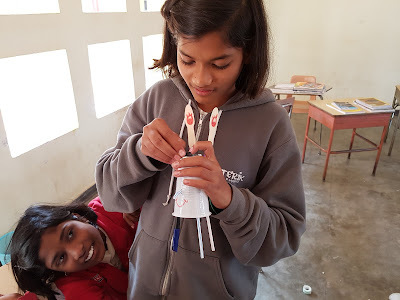 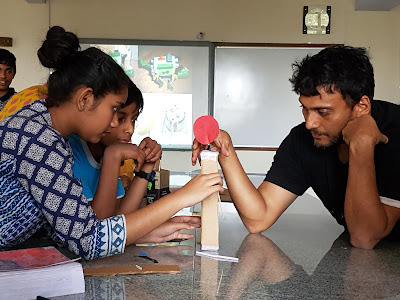 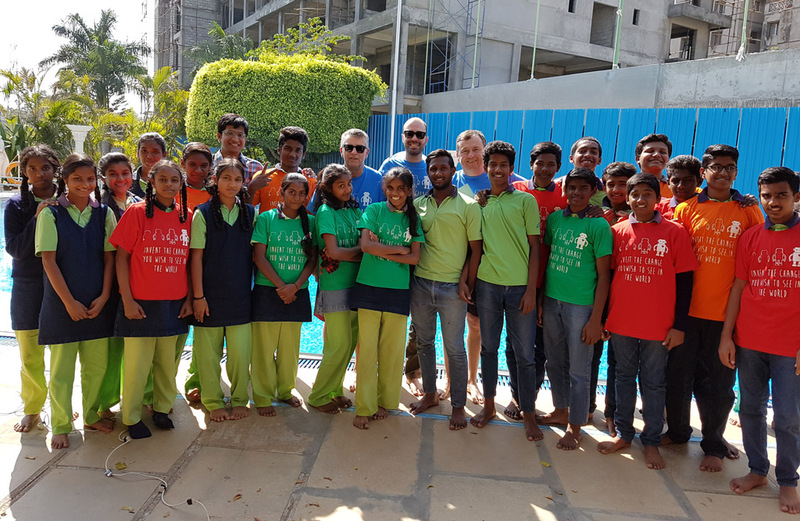 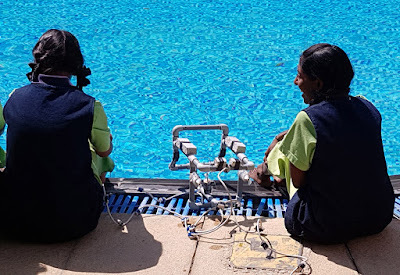 In particular, this year during our stay, we worked intensively with the four schools of the Parikrma Foundation, we carried out some activities at Shanti Bhavan School and The Valley School, and we visited the Project DEFY. 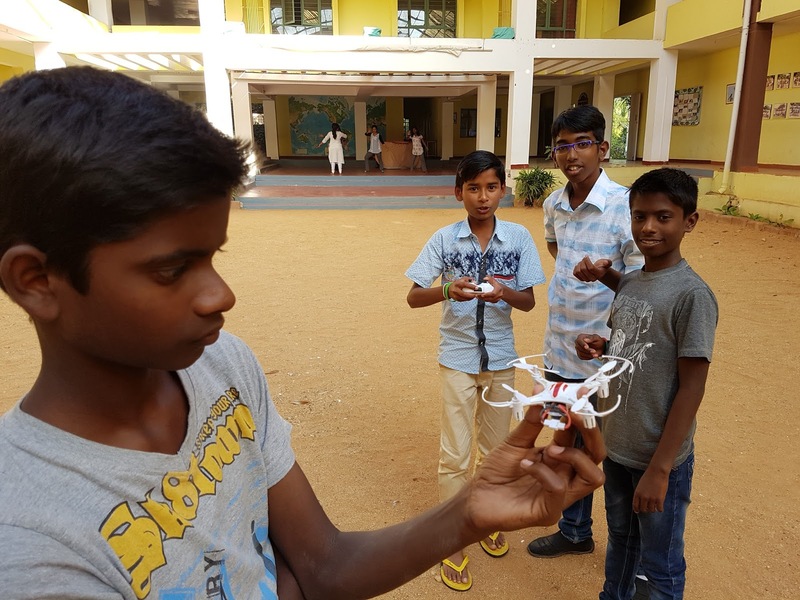 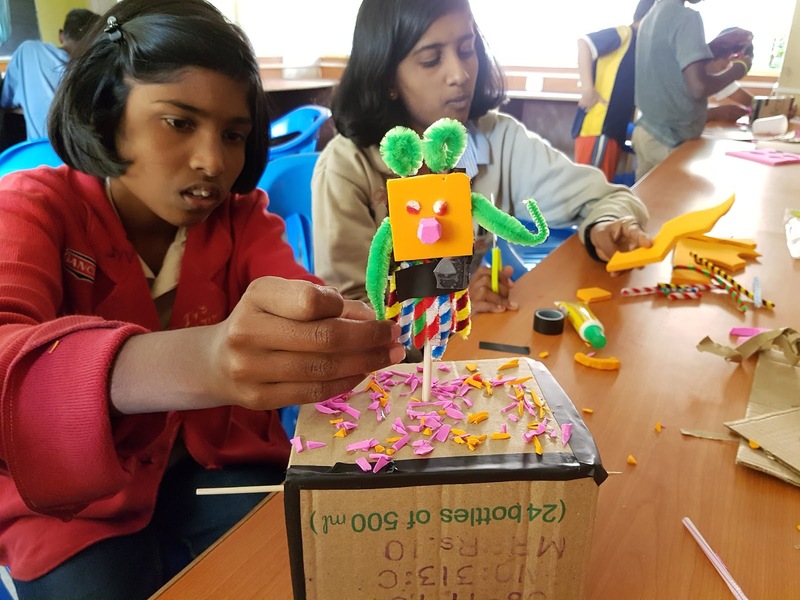 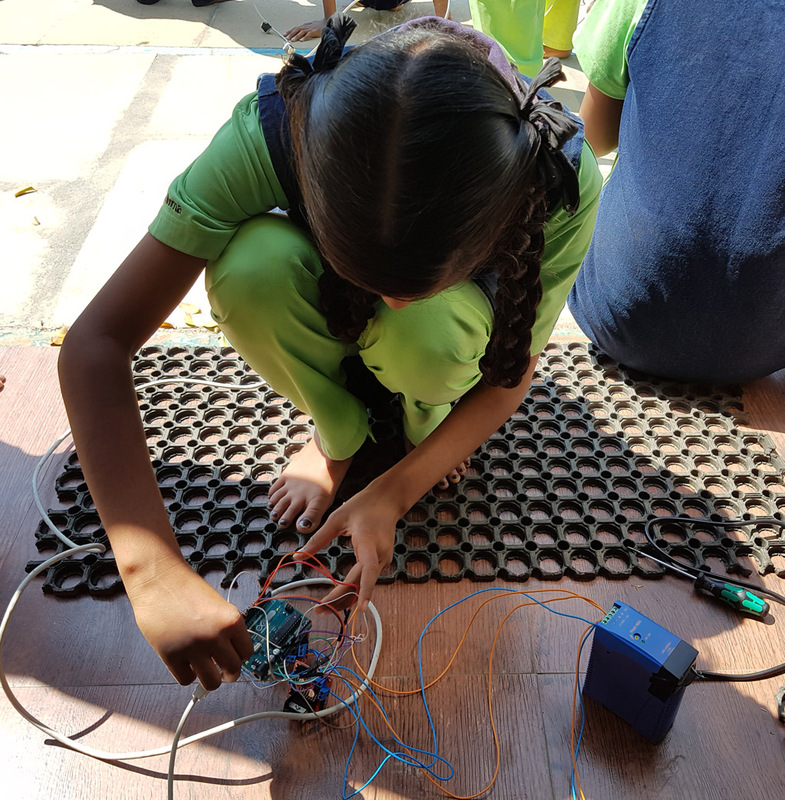 Our actions included activities such as workshops and trainings on Scratch, LEGO tinkering, cardboard automatas, underwater robotics, drones, Arduino, and other creative learning experiences where we tried to merge technology, art and science. We also conducted videoconferences between Parikrma Jayanagar School and Carme Auguet School, and between Parikrma Nandini Layout School and Institut de Gurb. 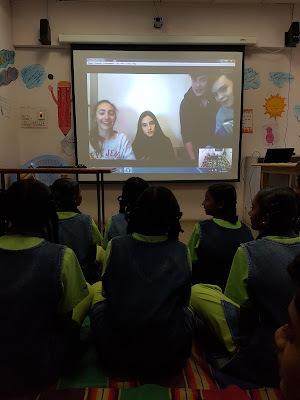 Now it's time to create mixed virtual teams with children from both countries, and to start the online collaborative work. 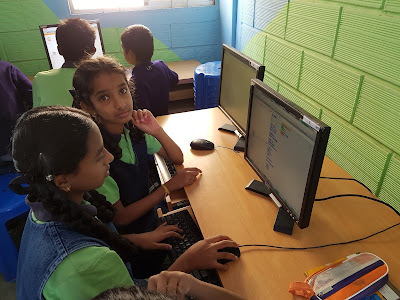 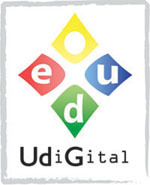 Children will use Scratch to create digital stories about this year's topic: the access to education.